BSE Shareholder Greg Mitchell was recently published in the June 2014 issue of Defender Magazine. The Defender is the newsletter of the National Association of Dealer Counsel. The NADC is an organization formed by and for lawyers who work in the unique dealer environment. Membership is open to practicing attorneys who serve the needs of auto, truck, motorcycle, boat, motor home and all terrain vehicle dealers. 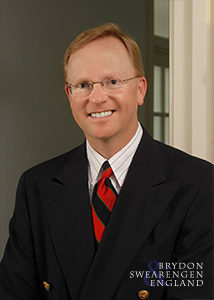 Greg Mitchell is a former law clerk to a federal magistrate, Assistant Attorney General of Missouri, and was Executive Director of the Missouri Motor Vehicle Commission, a state agency which was responsible for the licensure and regulation of Missouri’s motor vehicle sales industry. He has a general administrative practice with an emphasis in motor vehicle dealer matters, professional licensing and corporate regulatory issues.